Are you hoping to enjoy the good life during retirement, or at least not spend your golden years worrying about how to pay for food and medicine? Well, the bad news is Americans are woefully behind on saving for retirement. The good news is, you don't have to be one of the millions of retirees struggling to live on a bare bones budget. By following just five steps, you'll set yourself up for a retirement spent traveling the world, spoiling your grandkids, or, at the very least, not losing sleep over money. Investing early is the best way to get rich, because you'll need to invest more later to catch up if you wait. No matter when you start investing, though, the amount you invest should increase with your salary. If you invest a fixed percentage of your income, then your contributions will automatically increase along with your salary. The question is: What percentage of your income is appropriate? While many think 10% is enough, this is actually low. Consider how much money you'd accumulate if your investments returned an average of 7% per year, you earned the median income for an American worker (about $45,000 a year recently), you got small annual raises, and you contributed 10% of your salary to a tax-deferred account. Your retirement income would be around $40,000, assuming you drew from your account for 25 years and continued to earn a conservative return of around 3.25% during retirement. That would put you far ahead of the average American retiree -- but you wouldn't quite be living in the lap of luxury. These numbers also assume you started at 25, which many people don't. If you waited until 40, you'd need to save more than $1,200 a month -- about 35% of your wages -- to save up the same amount. When you retired, your income will be around $81,000, which should be plenty -- especially when combined with Social Security -- to provide you with financial freedom. If you've started later, you can still achieve a comparable income, but you'll need to save much more aggressively. When saving money takes effort, you're less likely to do it. In fact, one in six Americans responding to a survey weren't saving more because they hadn't gotten around to it. Most people tend to stick with the status quo -- in fact, studies found participation rates in a 401(k) jump from 40% when employees must opt in to almost 100% when they must opt out. So use your natural inertia to your advantage: Automate investments by having a percentage of income diverted to your 401(k) or IRA. You're less likely to skip a contribution if it means having to submit paperwork. It's not just how much you invest that matters, but also what you invest in. If your portfolio is too conservative, your savings won't grow fast enough to provide you with a sizable retirement income. On the other hand, if you chase growth recklessly and ignore the inherent risks of your investments, you could be left with nothing. You should tailor your investing strategy to your personal risk tolerance, but err on the side of being aggressive when you're young and still have time to recover from downturns. As you near retirement, you can gradually switch to safer investments in order to protect the capital you've built up. Investing is typically not free. Some 401(k) accounts have fees, and mutual funds generally charge both annual fees and transaction fees. While you can't entirely escape these costs, you should know what you're paying and do everything you can to minimize the fees you pay. Over the course of 40 years, paying a 1.5% fee instead of a 0.25% fee would cost you $306,500 -- enough to cover expensive healthcare or a few nice trips around the world. 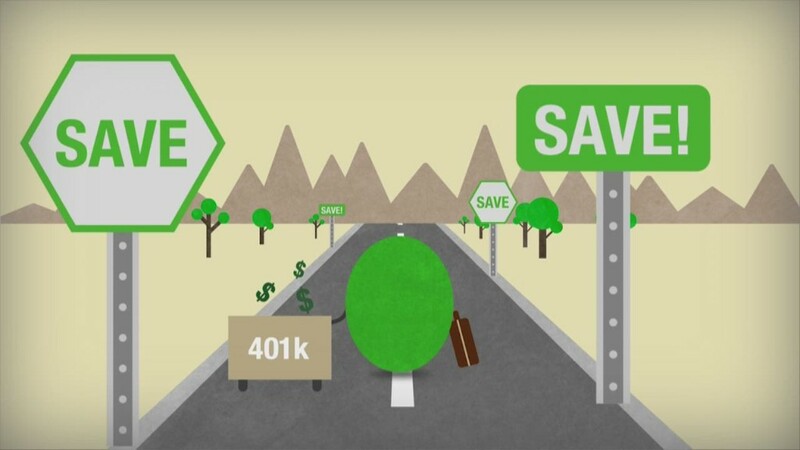 If you're investing through a 401(k), then your options are somewhat limited, and most of the mutual funds you can choose from will likely charge around 1%. However, if you invest through an IRA, your choices are almost limitless. There are plenty of low-cost exchange-traded funds that charge 0.25% or less for a diversified basket of stocks. A fund that tracks an index is a great choice for an investor who wants to benefit from the stock market's growth without assuming the risk and work involved in picking individual stocks. Once you've carefully laid your plan for retiring rich, you need to adhere to it religiously. Even a slight and temporary deviation from the plan -- say, suspending your contributions for a few months, tapping your retirement account to cover unrelated expenses, or selling a holding early in an attempt to reap short-term gains -- could set you back big-time. If you put your contributions on hold, you'll lose out on both the money you should have contributed and the compound interest it would have achieved. If you make an early withdrawal from a tax-advantaged retirement account, not only will you cost your future self far more than you're withdrawing, but you may also incur income tax and penalties on the amount you distribute. It's not worth giving up your future financial security for anything you'd do today. When you're retired and living in comfort and financial security, you'll thank your former self for the years of discipline and sacrifice.